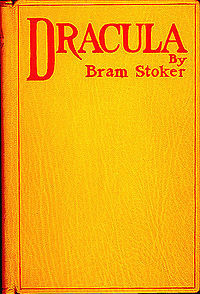 Woaa.. there goes one more book that i read ..well this being the second time.Frankly i didn't remember the story from first time so i just gave it one more shot..Bram stoker really created an unforgettable character "the count Dracula". This book is an epic,it really gives you goosebumps at certain points.While reading it i was afraid to open door for strangers you never know who might be a vampire :-O . Main character of novel are Professor Abraham Van Helsing,Dr,Seward ,Lucy,Arthur Holmwood,Mr. and Mrs. Jonathan Harker and of course "the Count Dracula" and his three beautiful Vampires. Author has really brought the characters alive. The description of characters and places ,the narrative style,the chronology of the events,those superstitions .We must have seen many vampire movies and read vampire novels but here is the creator of all .Language is mix of old and new style.In addition to it author has also written some seamen phonetic dialogues that are harder to read but if you read them you can get actually speak like them.The description of vampire kiss and 'The Woman in Black' will give you shiver.The fight to destroy the evil will raise your spirits.The love,friendships,respect will give you insight of those times.For our generation of twilight and vampire diaries this book really stands apart.The book is an epic.Written in 1897.The fun of reading classics is really ....wowy.